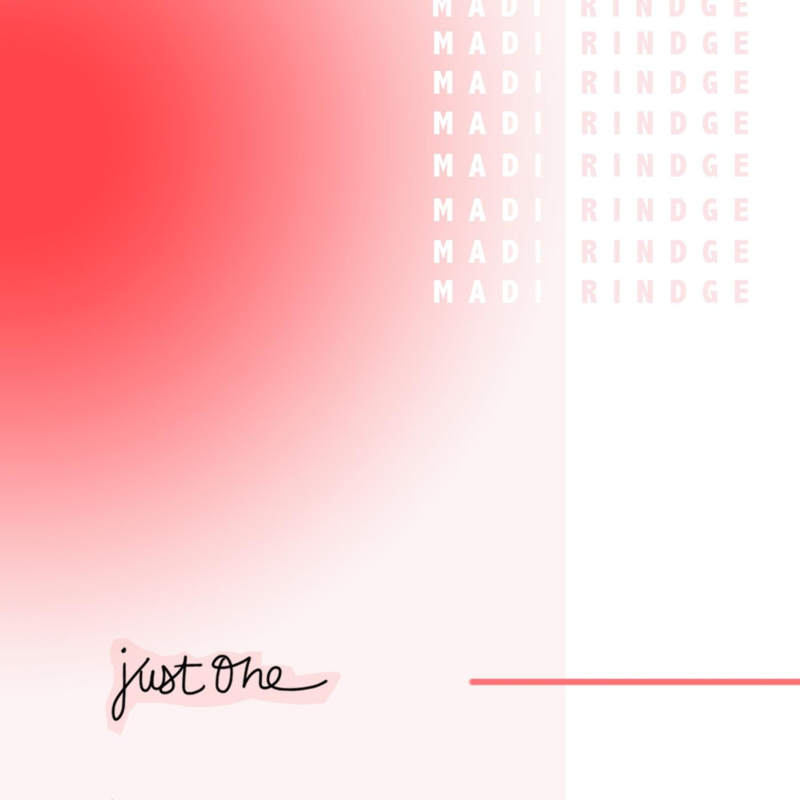 LA is turning out to be a real breeding ground of stellar pop acts; first there was my beloved MUNA, and then the wonderful Madison Margot, and now Madi Rindge. Madi has been making a name for herself since she dropped “Summertime” in 2015, which Ellen DeGeneres featured on her EllenTube platform. 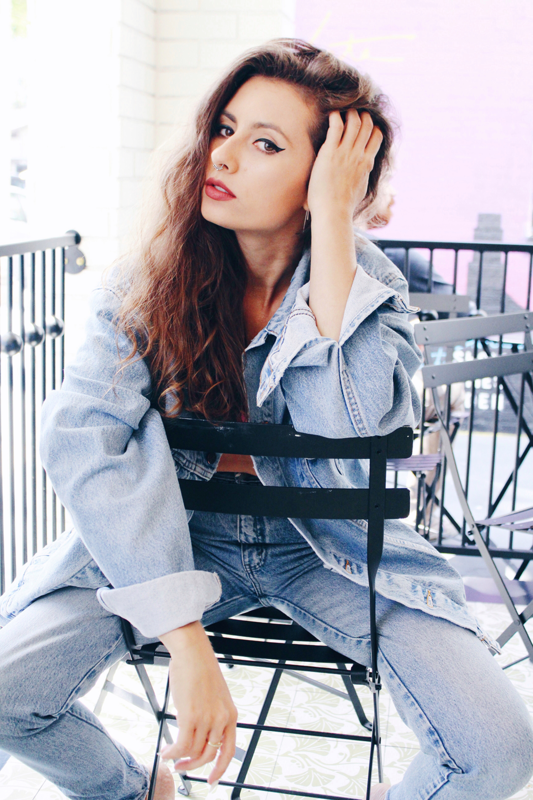 Madi then dropped “California” (400K+ Spotify streams) and “Naked” (220K+ Spotify streams) before signing a publishing deal with LyricHouse – not bad for a girl with talent! I wrote “Just One” last fall when I was questioning certain relationships in my life — with family, friends and my then boyfriend. I was trying to figure out which ones made me feel good and which ones didn’t. I got too comfortable in them because it was easy. But these relationships were actually just making everything harder and I was getting a false sense of support. That’s when I started putting all of my energy into practicing self love and prioritizing the right relationships; the idea of needing “just one” person — like myself! — to love me for “everything I can and can’t do”. 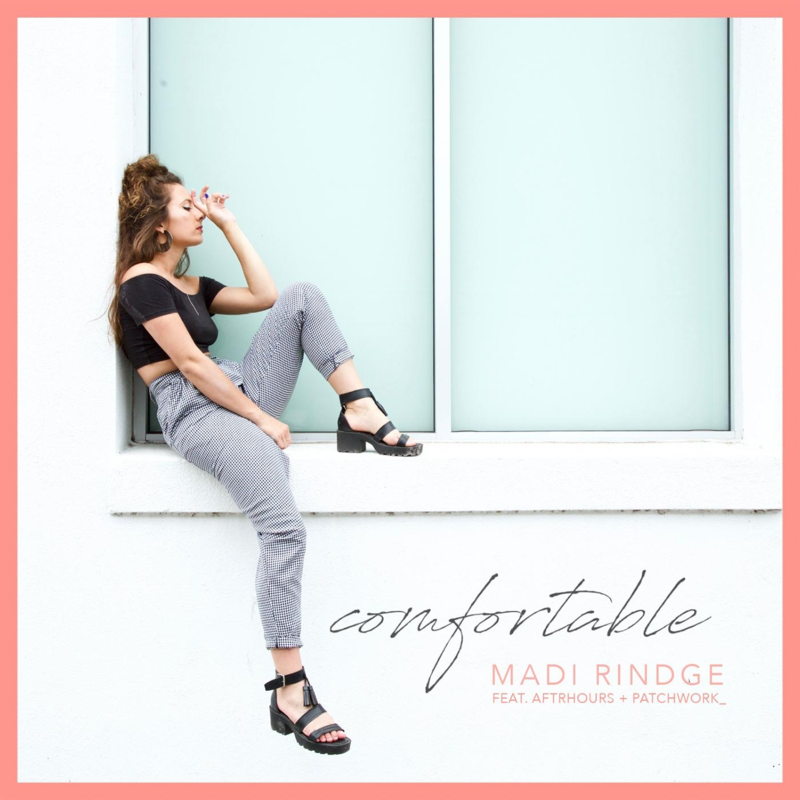 This theme of finding zen within yourself also popped up in “Comfortable” which we had a conversation with Madi about, plus picked her brain about what she thinks female musicians need to be doing today. How did “Comfortable” come together? I reached out to a couple musician friends of mine who I played a show with in the past and suggested we meet up and write a song together. So when we got together, we started brainstorming ideas and talking about what each of us was going through. We took a situation I was going through – the idea of being too comfortable in a relationship that it neither moves you forward nor backwards – and created this song. Writing this song in under an hour, which doesn’t happen too often, was super exciting and we were so stoked to release it! It was stagnant and I was confused [by] what I was feeling. Talking through that situation with Tom (patchwork_) and Matt (AFTRHOURS), and writing this song with them helped me realize that just because something is easy doesn’t make it right. And that’s when I finally got some unexpected clarity. Were there any hard feelings after this song was released? Not at all! The three of us worked so well together and there was never any tension. We were all on the same page in terms of the direction, lyrical content, and production. This was one of the most rewarding writing sessions I’ve had and cannot wait to work with these two again! There are a mix of positive and negative emotions in “Comfortable.” Was it your intention to convey these intermeshed feelings, or was your perspective more ‘positive vs. negative’ when you were writing this song? When we sat down to write the song, I didn’t know where I was, emotionally speaking, in this relationship. I wasn’t feeling good and I wasn’t feeling bad, which made everything confusing. Even though I knew it wasn’t right, I was having a really hard time walking away and I think the lyrics really portray that; they show exactly what I was going through at the time we were writing. Aside from your significant other, did any other people inspire this song? Actually oftentimes when I’m writing a song, I pull personal experiences from different relationships and incorporate those into one song. But for this one, I stuck strictly to moments from this relationship, which felt really good! Since writing this song, how has your life changed? I feel a lot more confident in what I want, who I am, and what I will and will not put up with. I think ultimately we have the choice to be happy but sometimes we need help learning how to get there. It’s not easy but it’s super important to know how much power each of us has in determining how we feel. For me, changing the way I allowed this person to treat me, made me feel powerful and free. I always consider different titles and in a collaboration we all throw out ideas but for this one, “Comfortable” was something we all thought was the one! In “Comfortable,” it seems like you are in a different head-space and transitional period in your own life. Do you see this influencing your music or lyrics in the future? Definitely! Since I write from personal experience, and life has its ups and downs, the topics I write and sing about will vary. Since I’m in my early twenties, which (so far) has been an intense period of change and growth, the music and lyrical content I write about will be constantly evolving. Writing, for me, is very therapeutic, and when I’m in a bad mood almost always makes me feel better. Yes. Unfortunately, we live in a world where double standards and stereotypes still exist. I think women really need to stick together and support each other. So I’ve been surrounding myself with other women and men who feel the same way about changing the way we are treated and looked at, especially in the music industry. I think the representation of female musicians in the music industry is changing in a positive way, especially with the help of artists like Lady Gaga, P!nk, Rihanna, Beyoncé, and so many more who are using their power and voice to talk about inequality. Of course there are so many things I’d like to change about the way women are viewed and treated, and not just in this industry. Though it’s a slow moving process, every person who speaks up is equally as important. Currently there aren’t enough women in the industry in general. Producing, mixing, mastering, and engineering for instance are all careers hugely dominated by men. Part of the problem is that there seems to be little room for women to get jobs in these spaces and therefore this vicious cycle continues. Again, the industry is changing but it takes a lot of hard work and persistence, and is difficult, to create space for women in male-dominated industries like this. 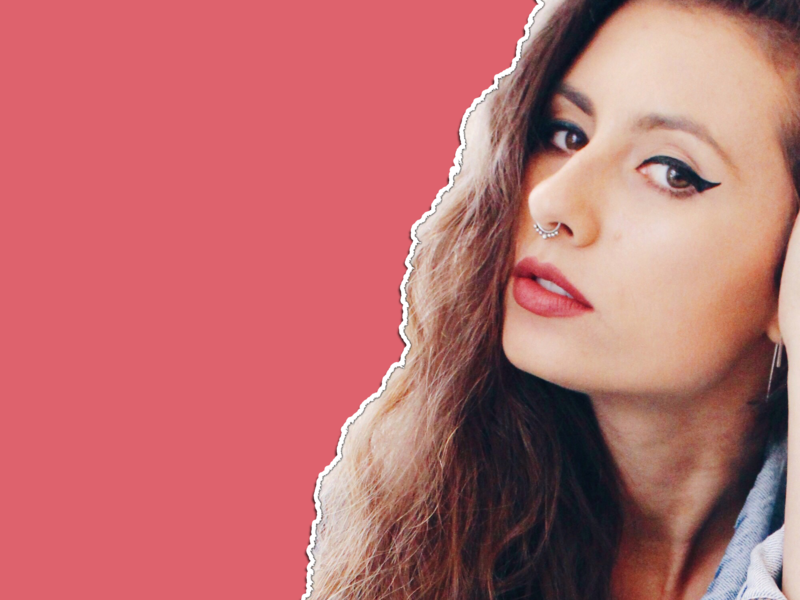 My goals through my music are to change the way people perceive artists in general but specifically female musicians. I want to create a positive space for women, to feel empowered, confident, and taken seriously. I’ve experienced feeling powerless, weak and not good enough. Sexism is everywhere. It’s suffocating, infuriating and degrading. Sometimes it leads me to question my own self-worth and value. I hope to create a space where women feel comfortable and powerful with equal opportunity. What else can we expect from you in 2017? More music, shows, merchandise, and love! If you could tell women and girls one thing about finding happiness on their own, what would it be? In general, I think it’s important put yourself first! Eat right, find some physical activity you enjoy, and spend time with yourself figuring out what it is that feeds your soul! As cliché as it sounds, do something you love everyday – even if it’s something as simple as going for a walk outside or getting a coffee at your favorite coffee shop! (I love doing that haha). But more specifically speaking… one thing that has started to change how I see the world and how I see myself, is meditation. It helps me clear my mind, stay focused, reduce anxiety, sleep more soundly, and more importantly find happiness! I highly recommend exploring an option like that.